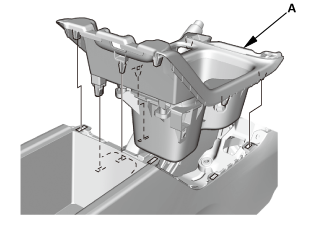 SRS components are located in this area. 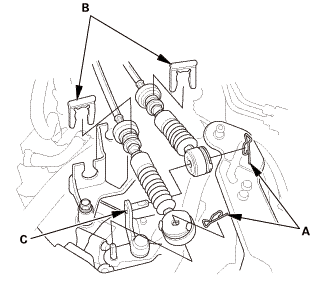 Review the SRS Component Location Index and the SRS Precautions and Procedures before doing repair or service. 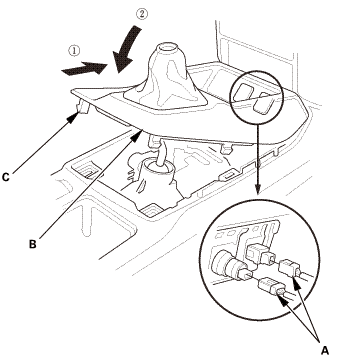 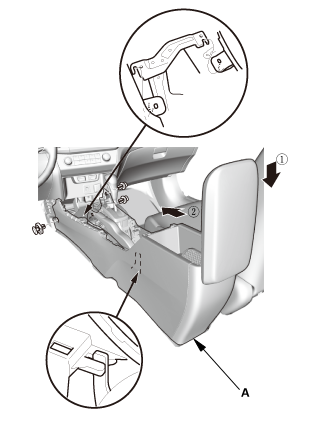 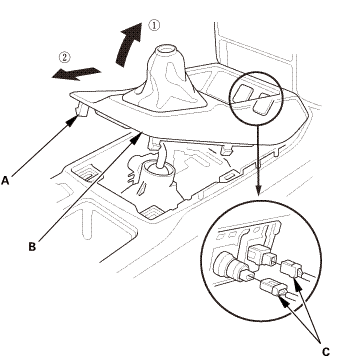 Lower the shift lever boot (A) to release the hooks from the boot. 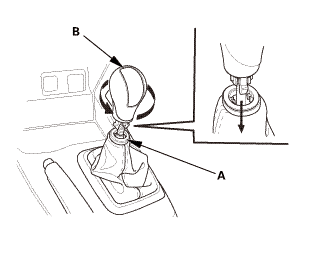 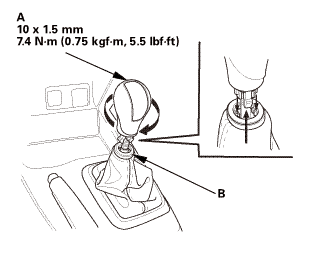 Remove the shift lever knob (B). 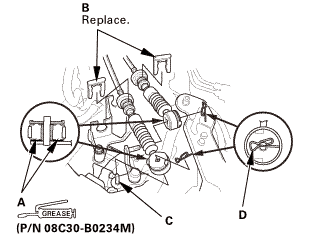 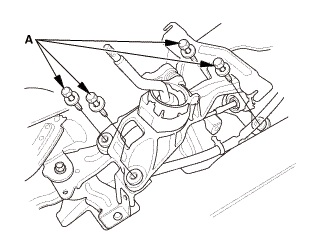 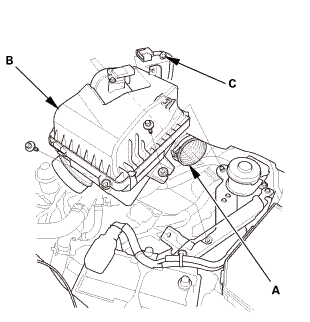 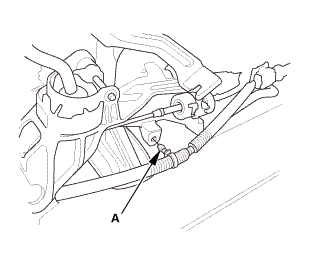 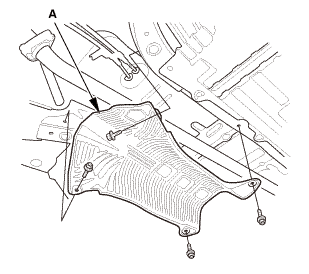 Disconnect the shift cable (B) from the shift lever (C). 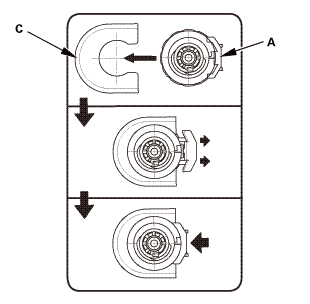 Rotate the socket holder retainer (B) counterclockwise (C) until it stops, and push the retainer lock (D) into the socket holder retainer to lock the retainer. 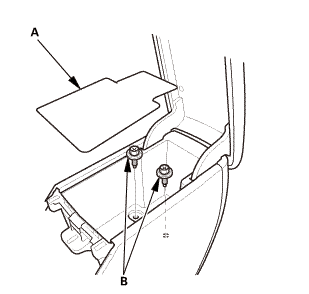 Slide the socket holder (E) and the shift cable (F) out of the shift cable bracket (G). 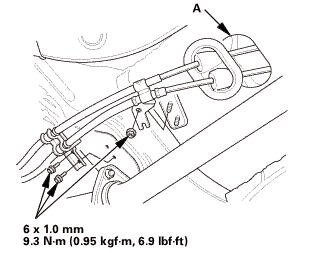 NOTE: Do not remove the shift cable by pulling the shift cable guide (H). 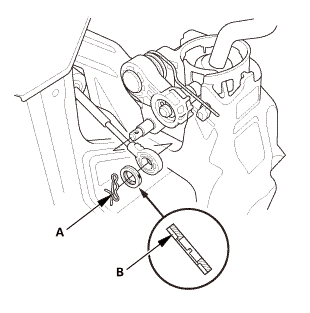 Remove the transmission hanger (A). 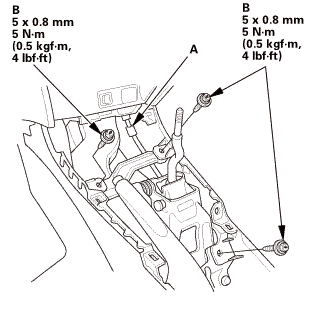 Remove the shift cable clips (B). 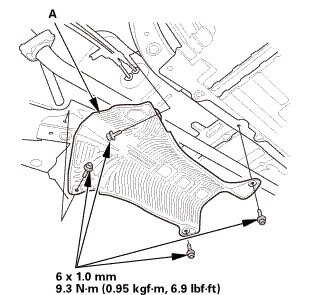 Remove the heat shield (A). 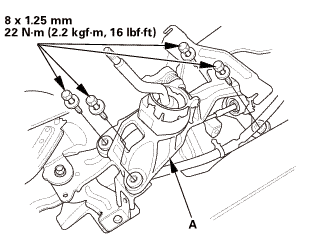 Remove the shift cable brackets (A). 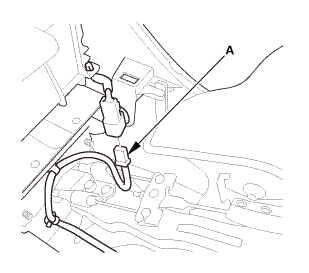 Remove the shift cable grommet (B), and pull out the shift cables. 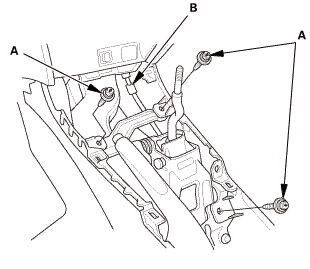 Insert the shift cables through the grommet hole (A). 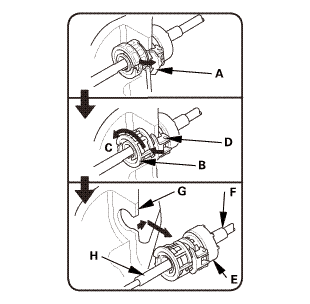 Install the shift cable grommet in its hole. 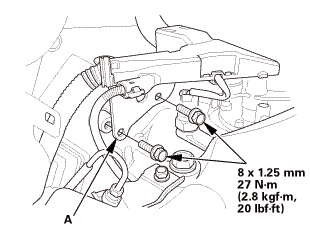 Install the shift cable brackets. 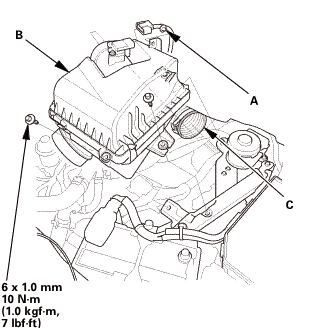 Install the heat shield (A). 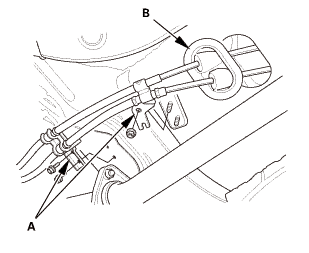 Install a new shift cable clips (B). 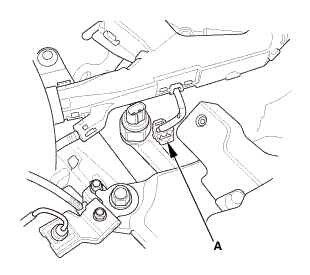 Connect the shift cable ends to the change lever assembly (C). 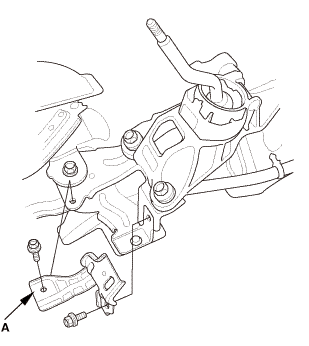 Install the transmission hanger (A). 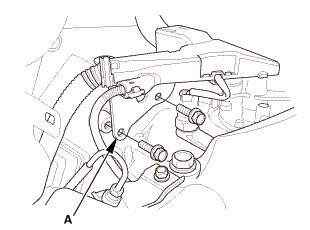 Align the socket holder (A) on the shift cables (B) with the slot in the bracket base (C). 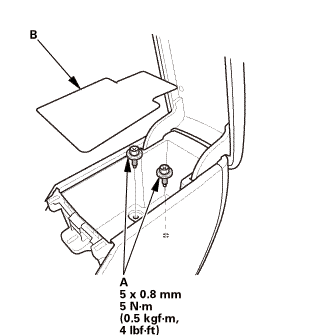 Slide the socket holder into the bracket base. 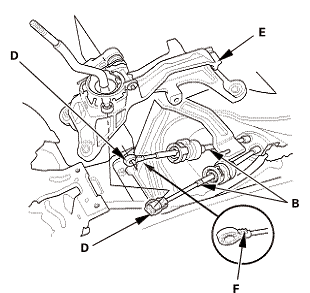 Install the shift cable ends (D) to the shift lever assembly (E). 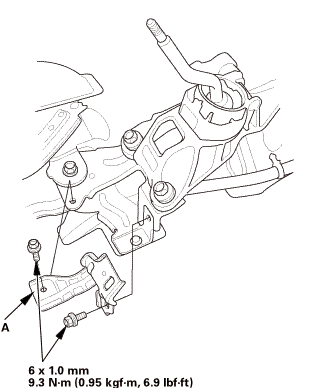 NOTE: When installing the shift cable (shift lever side), position the serrated side (F) facing up. Install the lock pin (B). 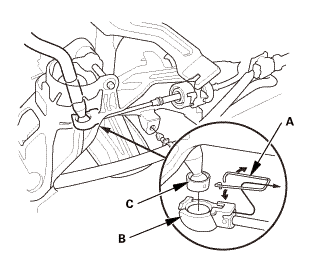 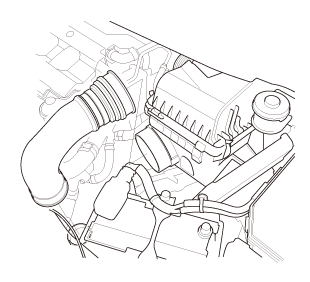 Connect the shift lever boot (B).